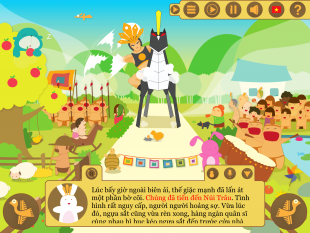 Story “Legendary Giong” is one of a series of INTERACTIVE BOOKS about fairy tales for children. The children will experience a wonderful fairy world as well as develop their skills. 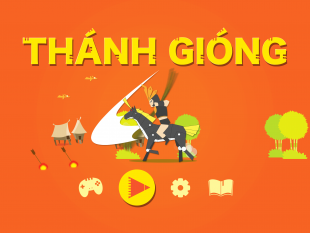 The story of a super hero with an immense strength, named Giong. He was a titan in Heaven. He saw Van Lang country (the ancient name of Vietnam) were being invaded by the North troops, caused miserably for human life. Therefore, he decided to transmigrate as a kid to help Hung Kings defeated enemy and bring peaceful and prosperous life for the people. The story represented for the desire to live in peace of Vietnamese people and the righteousness always wins glorious victories. – The story consists of 11 pages, each page depicts a scene of the tale. In each page, children can listen to the story told by the narrator – Ms Moon Rabbit. In addition, audio conversations are also provided for many characters. 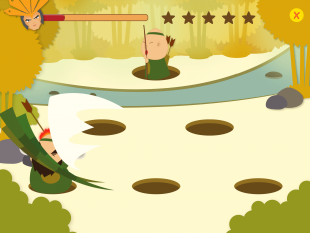 – Each character has its own cool animations and sound effects. When touching on any character or object, the children can discover many secrets effects in it. – Through out the book, children help Hero Giong to accomplish the missions in the story. 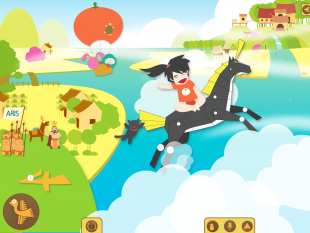 – The combination of cute artworks and cool sound effects make an amazing interactive book. – Allow voice recording and use it. Mother’s voice is the most loving voice with babies since the very first day of their life. This application allows user to record and change the original voice in the story to their own. With the inspiring voice from mother, this will be the most beloved stories! – Share via Facebook, Twitter. 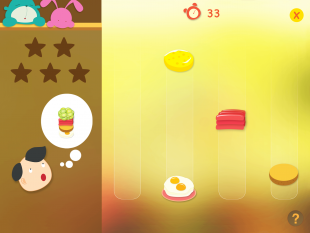 – Support 3 languages: Vietnamese, Japanese (English will be supported in next version).